Wales Millennium Centre is an arts centre located in the Cardiff Bay area. 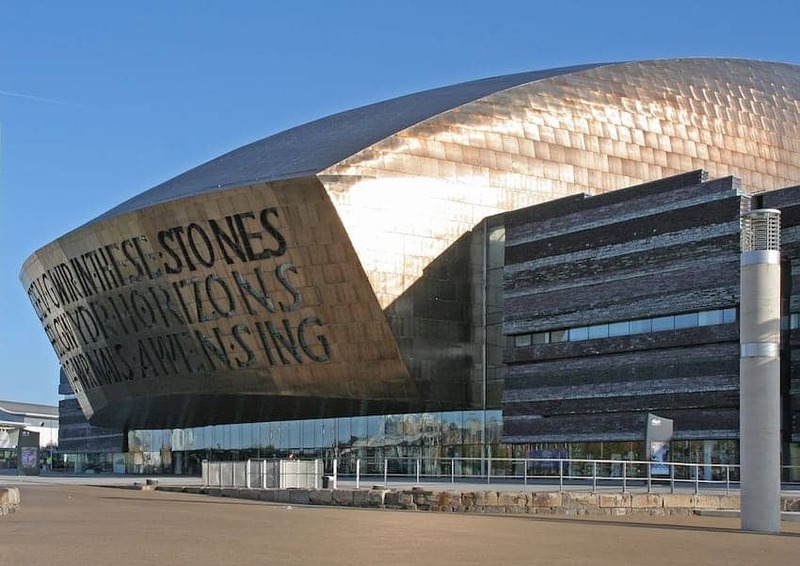 Completed in 2009 it houses the national orchestra and opera, dance, theatre and literature companies and also the Cardiff Bay Visitor Centre. The building was designed to reflect Wales with local materials: slate, metal, wood and glass. Inscribed above the main entrance are two poetic lines by Welsh poet Gwyneth Lewis in both Welsh and English. The lettering is formed by windows in the upstairs bar areas and is internally illuminated at night. The Centre has appeared frequently on film and TV including Doctor Who.